Heading out to west Texas in a few days and plan to spend a couple of days hiking in BIBE. This will be my sixth visit to the park and first trying a new route there via Houston, TX. We'll be stopping in Bandera, TX on our first night of the trip. 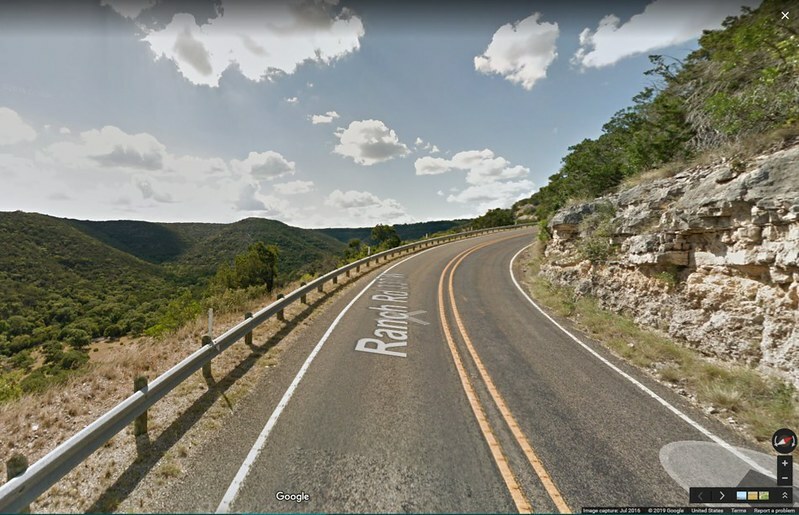 We'll then have the opportunity to drive west through the Texas hill country on the scenic route dubbed the Swiss Alps of Texas. This path follows hwy 16 west out of Bandera to Medina, then hwy 337 west to Vanderpool, through Leaky, and finally on to Camp Wood. You can find some info on various sites speaking to the drive, but nothing better shows how beautiful this area is than some good old Google Maps "street view". Below I've shared the route we'll be taking and the views we'll be seeing. Looking forward to this one! I don’t know who came up with the “Swiss Alps of Texas” line. Having been to both places, I can’t believe the comparison. Haha agreed venchka. Someone was a little overzealous with the naming. Get ready for mayhem. Hope you've been reading up on the insane free-for-alls and filth at the NPs. This has been a main thought as this trip approached (planned in the fall prior to there being a government shutdown) and my main reason for stopping by BBC was to see if anyone posted about the conditions of the park. I couldn't find a thing. I have read about some issues at some of the more popular and highly attended parks in the country, but didn't place those results as a fact for conditions in Big Bend. I'll soon find out, but being optimistic. We'll only be utilizing the trails for day hikes so we shouldn't be impacted to much. I can't imagine why anyone would compare the Texas Hill Country to the Swiss Alps either. RR 337 is one of the "sisters" that make up the Three Sisters (RR's 335, 336, & 337). It's one of the top motorcycle routes in the state. Keep a close eye on the road and watch out for the two-wheeled vehicles (whether you like them/us or not). I live pretty much right in the middle of the second map. We hardly consider it Alp-y, apart from the incessant yodelling.